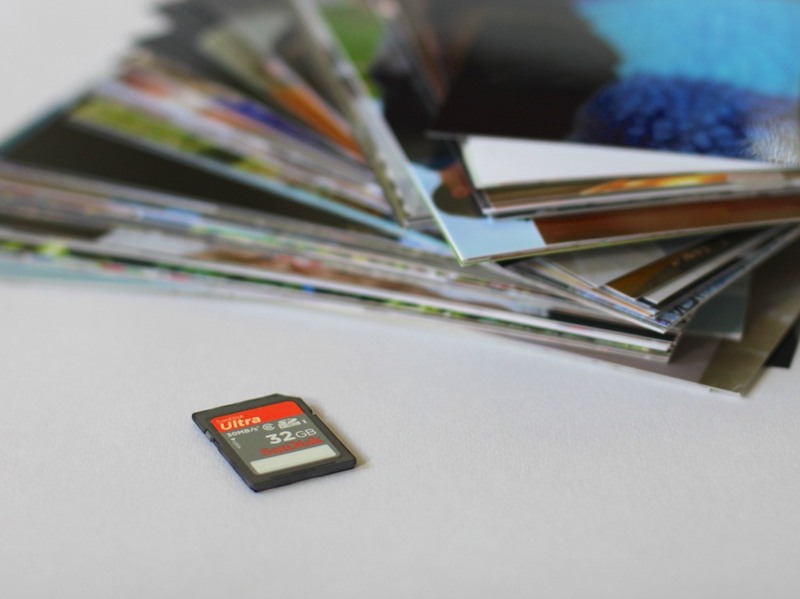 Which of these holds more value… a 32GB memory card or 32 photos? The answer can change your entire perspective as the family documentarian. Are you getting stressed out being the family photographer? Does it feel like a thankless job? Are you overwhelmed by the task of processing all those pictures? A burden that’s killing your joy? The good news is you’ve come to the right support blog. I think we’ve got some ideas that will help get you back on your photo footing. Instead, I’ve got an idea to get you there… one photo at a time. As you sift through your massive intake of family pics, the ongoing organization can get daunting. The last step you usually get to is printing any of them out, right? So here’s a crazy idea… Turn your workflow on its head! Don’t wait for your final print job or photo book. Just send it to the printer, now! Make that individual picture its own activity and absorb all those good vibes that photo brings you. Perform this cleansing photographic impulse at least once a week, and it will do wonders! Plus… you’re going to organically build a nice photo collection for yourself that you can place into an old-school album at the end of the year. Sure, photo books are wonderful, but they take time to organize and create. This method also gets you to the finish line… stress free. “Take in a big breath. Now exhale. Fred, do you have your battery charger nearby? There’s really no way to know for sure if your camera and a fully charged battery will carry you through the day. And that assumes you charge up your battery every time you put your camera in your pocket. It’s not that expensive, and it’s relatively tiny. The big problem with carrying around an extra battery is losing it. I think the best solution is to always keep your backup battery with your camera in its carrying case or neoprene envelope with zipper. That way it’s always close to the camera when an untimely power drain threatens your perfect photographic moment. Believe me, you’re not alone if you find yourself missing from the visual documentation of your family’s history. And of course that’s what’s going to happen, if you’re the one taking most of the shots! The obvious solution is to hand over your camera and ask someone else to do some of the heavy lifting. But that doesn’t mean you’re handing over your visual influence. You still may need to orchestrate from afar. Letting it happen naturally may not create the shots you want. Does that make you appear too self-centered? Get over it!! You’ve been taking everyone else’s photos for years. It’s about time you asked for a few of your own! Good. Now please sit down. The same general rule applies to large family group photos. It’s sad to say, but most pictures have an expiration date. And then they become less relevant… because life moves on. There’s always a newer family event that everyone’s going to be interested in…not your pictures from last month’s birthday party. Plus, there are always those slick smartphone cats. You know them. They snap a photo and share it almost instantly… taking all the glory. You’re never going to get your shots out quickly if you force yourself to make each one perfect before you release them to your adoring public. But if you’re like me, you’re not going to be happy sharing photos that aren’t ready for prime time. As you review your top 20 or 30 pictures from your most recent family event, just pick the top 2 or 3 to get out the door tonight. And these will tease your audience’s appetite for the larger collection to be released later! You are the family photographer. Own it! And your family may not tell you this as much as they should… but they really appreciate all those photos you’ve been taking of them. If some of your relatives were here right now, they’d give you a big kiss. So it’s time for a group hug. Everyone stand up and bring it in!